The Twitter account of conservative commentator and blogger Milo Yiannopoulos was suspended and reinstated in short order yesterday, hours before Yiannopoulos was scheduled to host a press conference in Orlando, Florida. 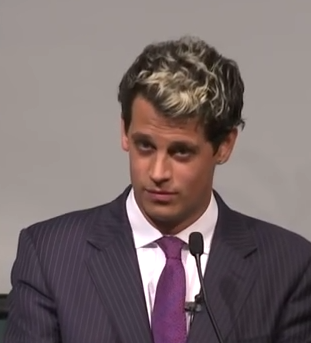 The press conference, titled “ABSOLUTELY HARAM: Milo On Gays Vs. Islam” was initially scheduled at the University of Central Florida’s Florida Cape Ballroom. School officials cancelled the event amidst security concerns, prompting the change of venue. The new site chosen for the press conference is in close proximity to Orlando’s Pulse nightclub, the scene of a grisly attack by a lone gunman, which left 49 patrons dead and nearly 100 wounded in the early hours of Sunday morning. The gunman called into police shortly before the attack to pledge loyalty to ISIS. Speculation has swirled that the attack was motivated by anti-gay sentiment based on comments made by the shooter to family members and the reputation of the site itself, a prominent hub of that city’s LGBT community. Yiannopoulos’ Twitter account lost its verification earlier this year for rules violations, possibly for a tweet advocating for harassment of a “social justice loser,” user @ComfortablySmug. The incident resulted in widespread furor across the right-wing blogosphere, with critics decrying the move as another form of censorship. Social media giant Facebook has been similarly criticized by right-wing commentators amidst allegations by a former employee that the platform has employed policies that allow staff “curators” to reduce the visibility of conservative-leaning posts, pundits, and stories. When approached via email for comment on Yiannopoulos’ suspension and reinstatement, a Twitter spokesperson responded: "We do not comment on individual accounts, for privacy and security reasons." Twitter has been inundated with anti-Semitic troll attacks on Jewish journalists, and to some, the service isn’t doing enough to address the often relentless threats and slurs directed at individual users. Jon Weisman, a New York Times editor, announced earlier this month that he was quitting Twitter in the wake of a barrage of anti-Semitic Tweets – many threatening -- that he received after he retweeted an article that criticized presidential candidate Donald Trump. Weisman Tweeted last week that a colleague had collected the worst of the Tweets and submitted them to Twitter. White nationalists and neo-Nazis also developed a system for use on Twitter and other social media platforms called “echoing” that signal to others of like mind that a user is Jewish and thus allows tracking and harassment of that user. The “echoes” appear as three sets of parentheses that enclose a user’s name and are virtually impossible to search.